I just completed the Alpha of my game. 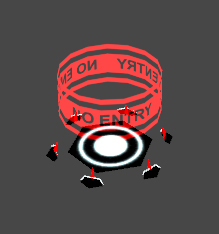 The red barrier tape will disappear, once every enemy is killed, and the little red ticks turn green. 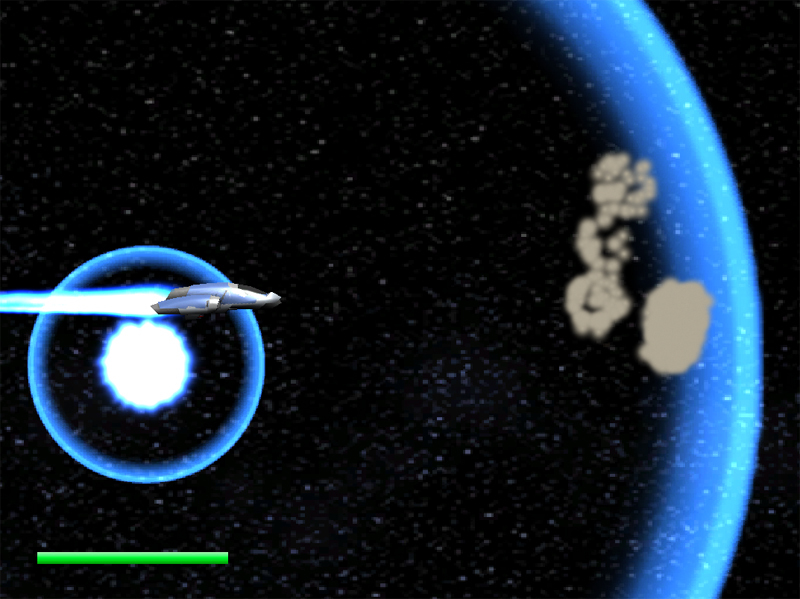 And here is a screenshot of the game in action. Haven’t done much this weekend that can be shown in images. Mostly bugfixing and improving some algorithms. Had some nasty crashes that I needed to resolve. In terms of AI, the situations where an enemy would just stand still and do nothing are reduced. As a side effect, they now are even more aggressive, since they don’t interfere with each other so much anymore. 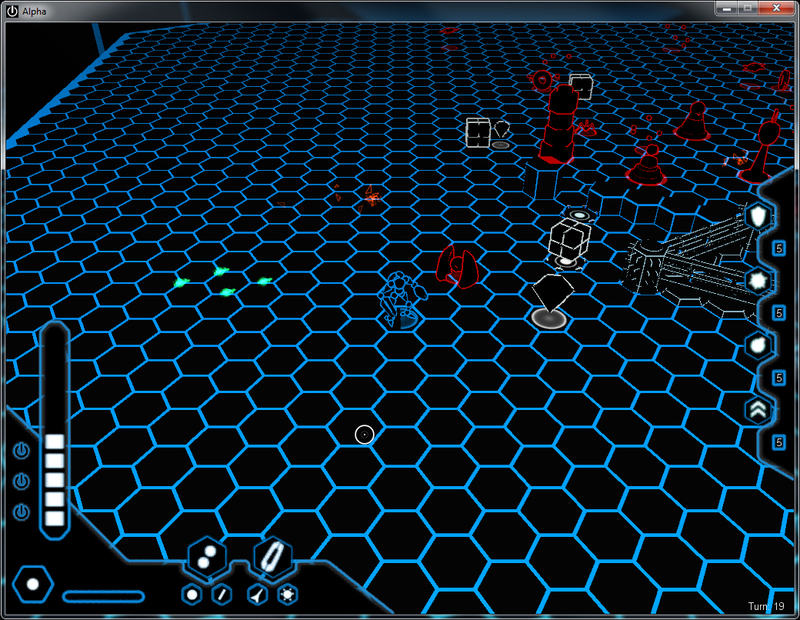 Lastly I changed the shader for Player and enemies and now their silhouettes are rendered in front of other objects. 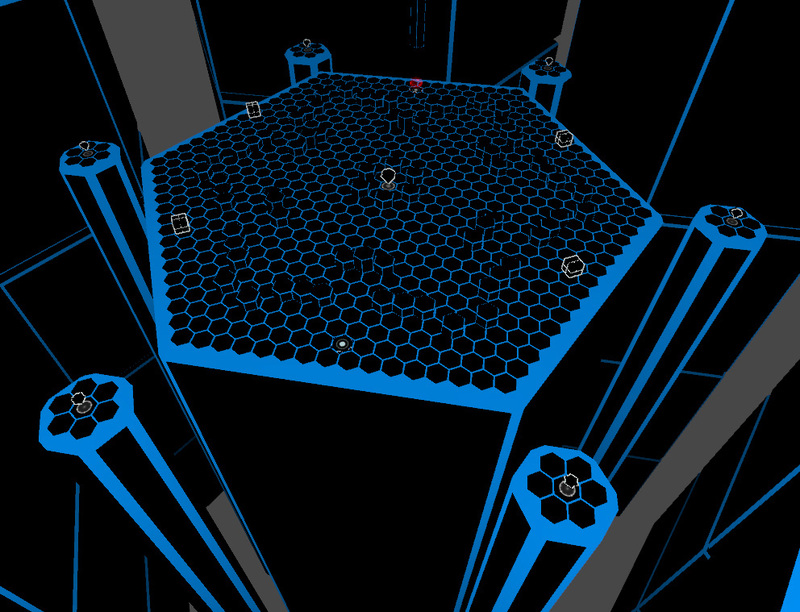 This way the Player can see where the enemies are, even if they are behind obstacles. 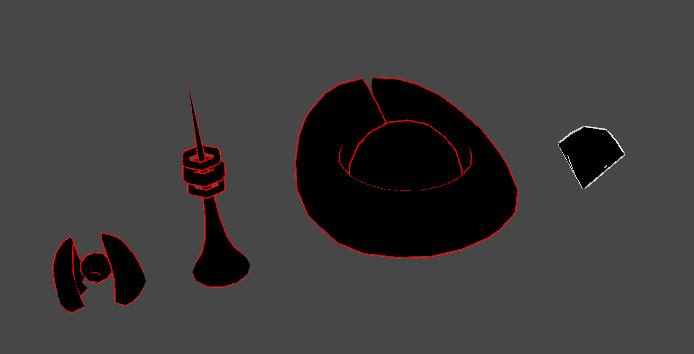 One new object, though. A spawnpoint for Powerups. 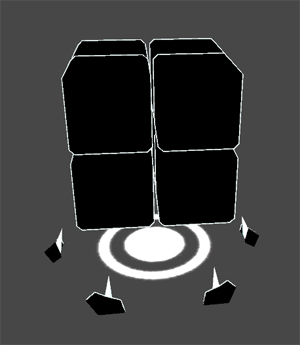 It will create a crate after a couple of turns, and ,once the Player has destroyed the crate and picked the item up, it will spawn a new one, again after some turns. I added some more enemies to my game. 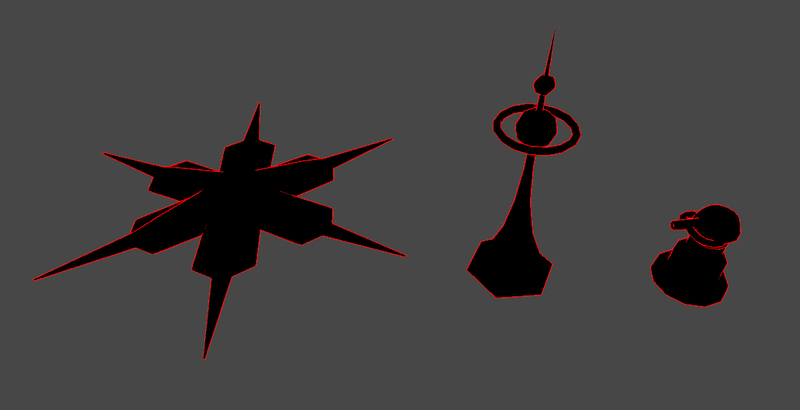 From left to right these are a plasma-wielding walker, a flamethrower tower and two boss encounters. The first one is unarmed, but has plenty of health and spawns Spawners. The last one is more of a automatic defense mechanism. It spawns smaller copies of itself some tiles away and then shoots them with lasers. The small crystals scatter these lasers in all six directions. If one of the small crystals is destroyed, it will be replaced after some time. In the actual encounter I plan to place some additional small crystals that won’t be replaced after destroying them. 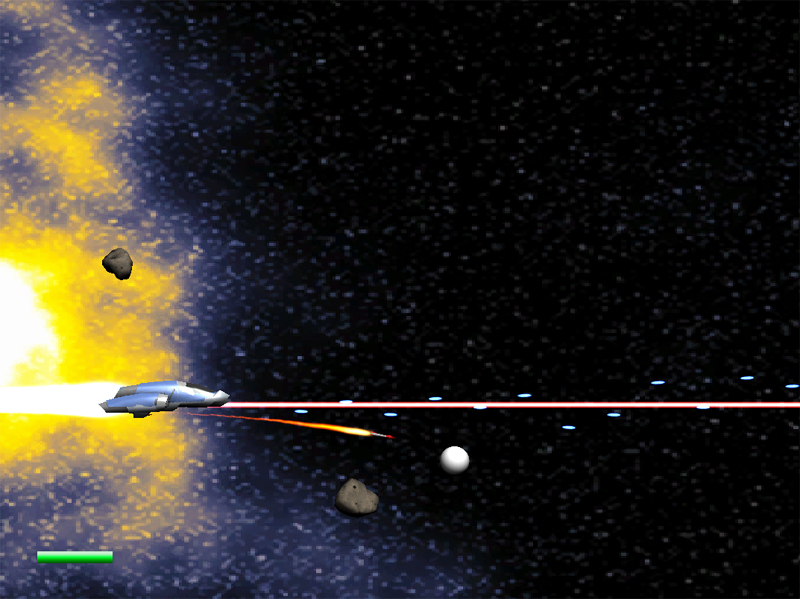 The Player will get his own laser weapon from destroying the crystal. Where he will get the other weapons (apart from the sword and blaster) is yet to be determined. After a too long absence, I started working on my game again. 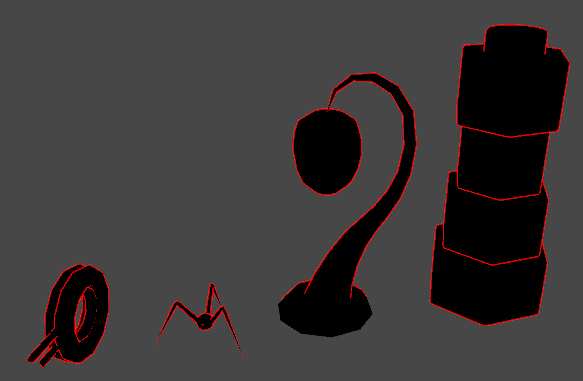 I created some new enemy models (the spider is not yet rigged). The two on the right are Spawners for the Spider and the Disc from an earlier post respectively. 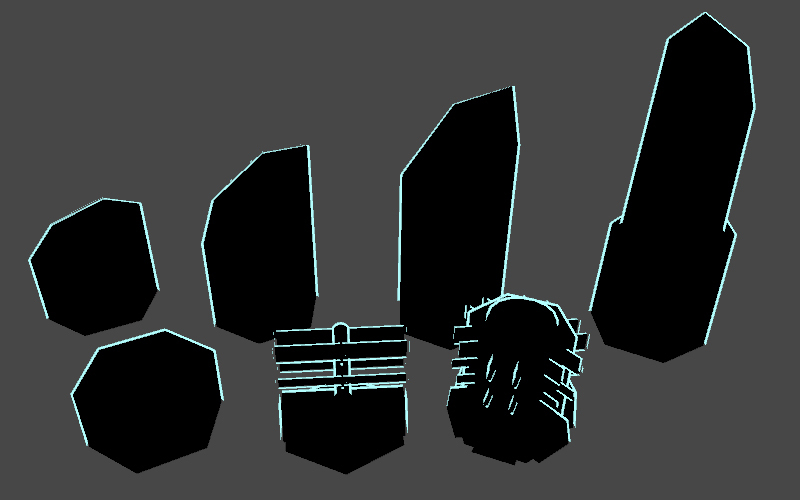 Also I created some buildings, for decoration and mainly to allow me to create different levels. They block all kinds of projectiles, the fence is destructible. Lastly I also delved into scripting again. The buildings have their own behavior to control the blocking of projectiles and actors, as well as their destruction. Additionally I added a simple calculation to the enemies’ and other placeable objects’ scripts to make them find the closest tile to their world-position on start, so I can now place them directly in the Unity viewport instead of having to manually determine the tile number I want them to start on. Makes level-design easier. Having to dial in every tile by hand would have put me off level-designing entirely, to be honest.